I reached into my closet for the umpteenth time searching for a necklace that was the perfect balance of sparkly and modern style. I needed a necklace that could be worn all day and night. Imagine tiny speckles of aqua green stone and delicate gold chain sparkling. 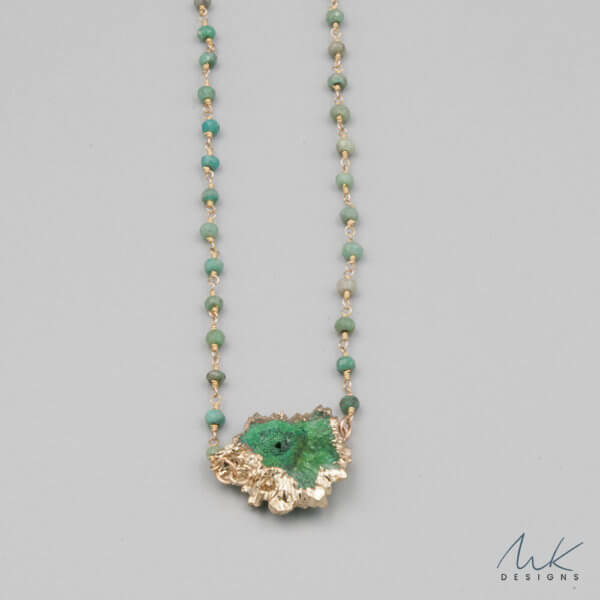 Designing the aqua green color way of the amazonite stone makes the color pop at the neckline. Green Amazonite and Druzy Necklace is more than an elegant necklace-it’s a solution. This pretty necklace works its charm with perfect polish. 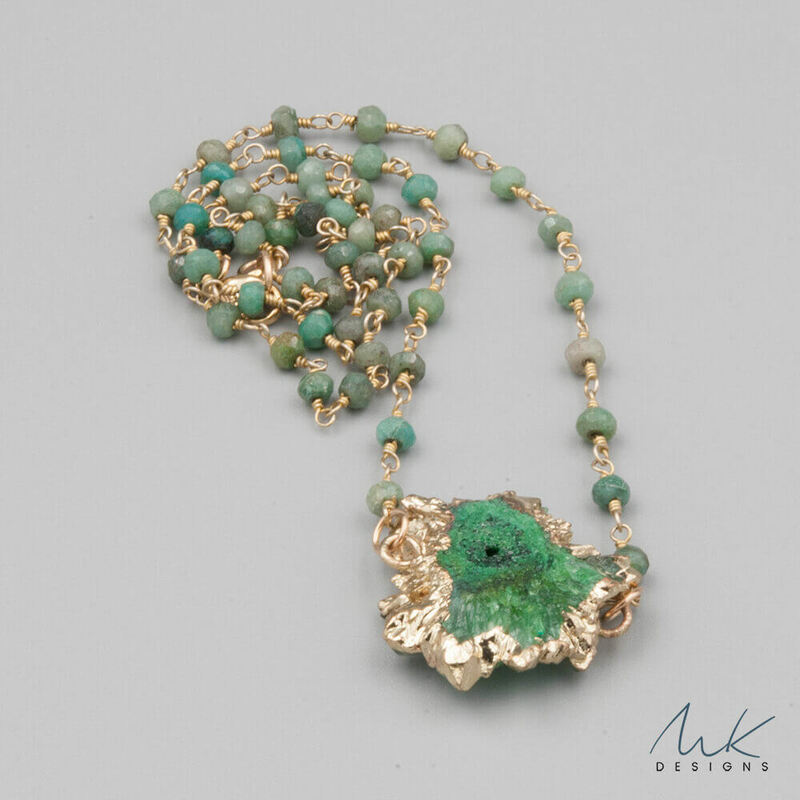 The aqua green color way of the amazonite stones compliments the bright gold wire. Wire-wrapped amazonite links to one another with bright gold wire. Electroplated in bright gold, the aqua green druzy pops. This necklace works its charm with perfect polish. 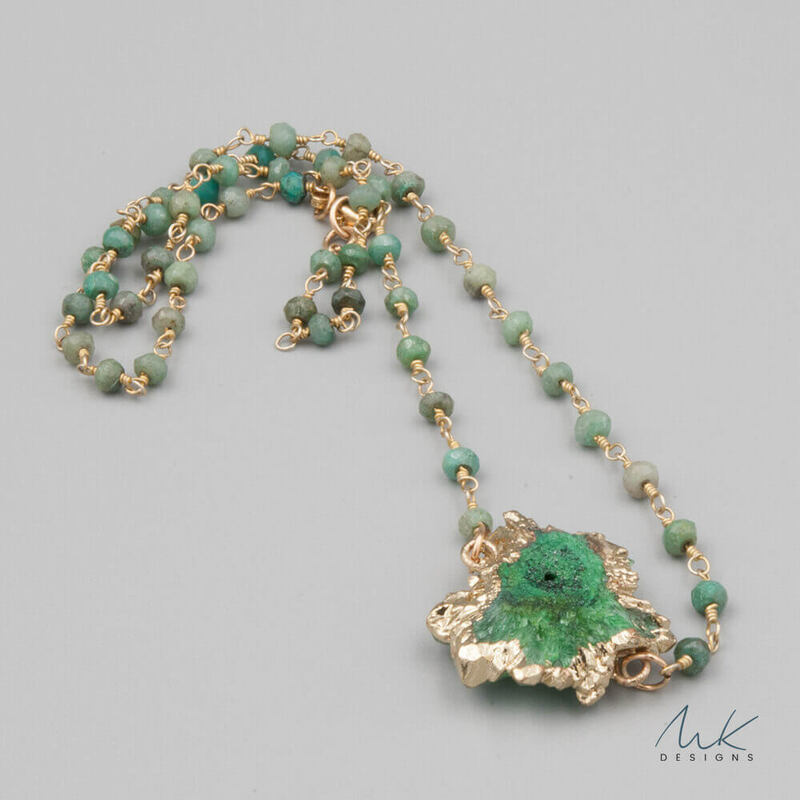 Casual feel and modern in style, Green Amazonite and Druzy brings a sparkle to your day. 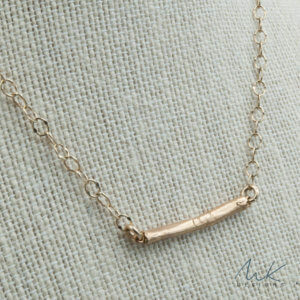 Gold filled lobster clasp holds this fresh necklace in place. No need to polish! This chic necklace will pull together an outfit effortlessly. 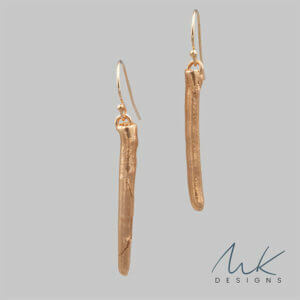 Did you know that every piece in my studio is created by hand? 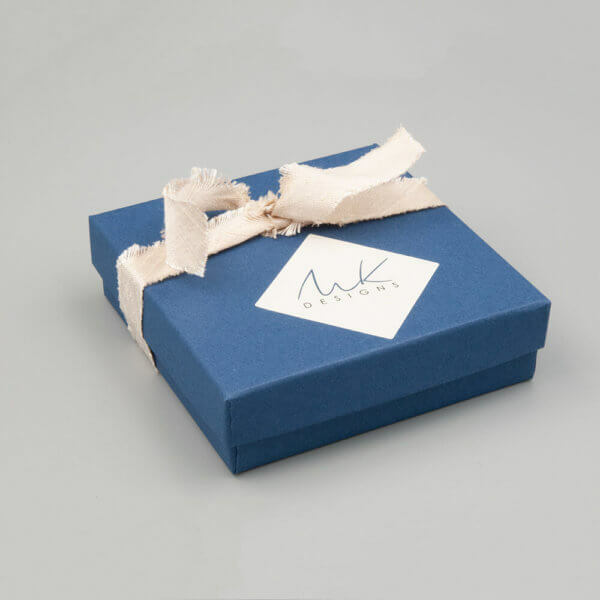 I hand form each necklace, with careful attention to selecting the best stones and finishes. 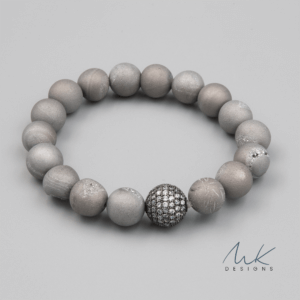 I focus on selecting the most interesting colors,and balancing them with precious metals and fun finishes to make timeless designs that are curated just for you. You’ll love our green amazonite and druzy necklace!